After practicing for more than ten years, I am excited to serve in the city where I live. The opportunity to have a practice in Federal Way has truly been a dream come true. I believe in conservative, minimally invasive dentistry. I also believe that the fear can be taken out of dentistry with the correct approach for each individual. If you are fearful, I encourage you to come and see the difference we are able to provide! There are several easy sedation techniques that I am able to utilize to alleviate anxiety for patients, allowing their dental work to be completed in a calm and efficient manner. Dentistry allows me to combine three of my best attributes: Artistry, Diagnosing, and Relationships. Artistry: As a youth, my interests included drawing, painting, and creating. I am pleased that I am able to incorporate those skills into every tooth and smile that I restore. I love to take the time to make a restoration more life-like and seamless. Diagnosis: Dentistry allows me to be a problem solver. I enjoy finding out the best way to conservatively restore a tooth, as well as rehabilitating the mouth as a whole. Diagnosis also involves what a patient's true concerns are, whether it be aesthetic or functional needs. Relationships: Lastly, to me, dentistry is all about building relationships for life! It is such an honor when a patient tells me that they feel that I care about them as an individual and not just as a mouth. I enjoy getting to know my patients beyond their dental care. At my office, my staff and I will strive to make you feel at home. I attended Oregon State University, earning a degree in Biology and minor in Chemistry. In 2004, I received my Doctorate of Dental Medicine from Oregon Health Sciences University in Portland, OR. 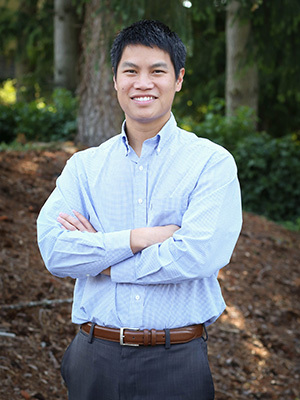 I am an active member of the American Dental Association and the Washington State Dental Association, and King County Dental Society. I want to be able to provide the latest in dental technology and techniques. Since graduating, I have taken hundreds of hours of continuing dental education. 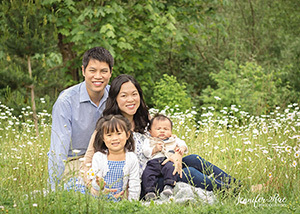 My wife and I have been married since 2009 and have lived in Federal Way since 2012. 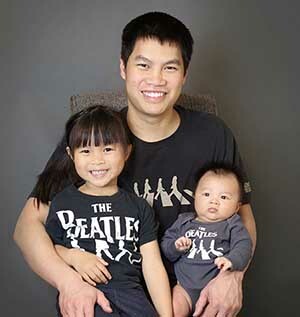 My wife works as a physician in Federal Way and both of us enjoy serving our community. We are blessed with two children, Cora and Caleb. 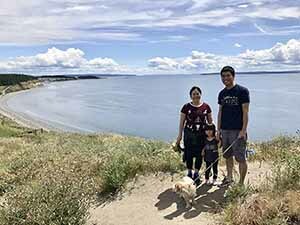 As a family, we like to hike and walk, explore beaches, visit playgrounds and experience beautiful Washington with our loyal dog Ellie. We are always looking forward to our next trip to a warm beach! In my spare time, I enjoy playing the guitar, water activities such as stand-up paddle boarding and boating, and sci-fi movies. I also serve as a member of the music ministry at my church and a mentor to the youth group.